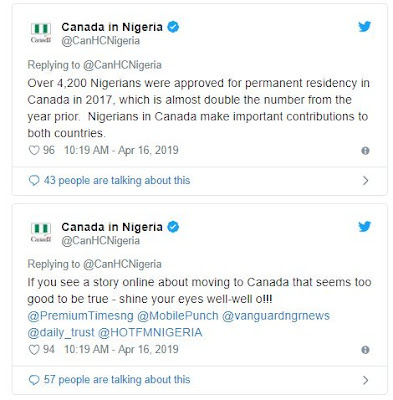 Nigerians has been warned by The Canadian High Commission in Nigeria to “shine their eyes” concerning reports that Canada is seeking millions of Nigerians to take up permanent residency in the country. However, the Canadian High Commission denied the report saying, “this particular story is FALSE. Nigerians are welcome to apply to immigrate to Canada.